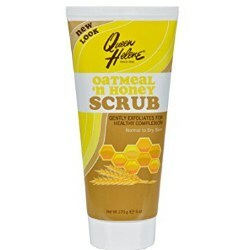 Queen Helene Oatmeal ‘n Honey Natural Facial Scrub removes dirt-clogging residue, dead skin cells, and other impurities in order to exfoliate and refresh skin. The scrub is manufactured by Para Laboratories and sold in a variety of pharmacies and retailers all over the country. A 6 ounce container of the product costs $4.99. Stearic Acid: Fatty acid known for its emulsifying properties. Can improve the skin’s natural protective barrier. Avena Sativa Kernel Meal: Oatmeal. Used to tone the skin. 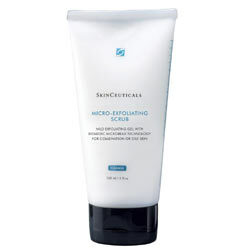 It is a gentle exfoliant that contains amino acids that repair damaged skin. It is also hypoallergenic and gentle enough for sensitive skin. Honey: Anti-bacterial, and potent humectant. Treats acne efficiently and contains many antioxidants that protect the skin from preliminary signs of aging. Opens up the pores to unclog them. Glyceryl Stearate: Ester of stearic acid and glycerin. Lubricates the skin and decreases surface tension of emulsions. Glycerin: Natural moisturizer that prevents loss of water. Kaolin: China clay. Attracts dirt, oil, and other impurities so they can be removed more easily. Dimethicone: Protects and conditions the skin. Fills in lines and wrinkles to improve the skin’s appearance. 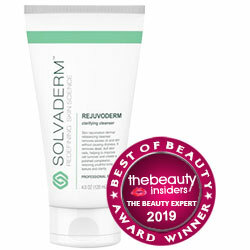 Has anti-inflammatory properties and may be able to soothe redness caused by some conditions. Wet the face and neck with warm water. Apply a small quantity of the scrub onto the face and gently massage. Rinse off thoroughly and pat skin dry. Avoid contact with the eye area. Queen Helene Oatmeal ‘n Honey Natural Facial Scrub uses oatmeal and honey, both of which are known for their soothing properties. Sold at a reasonable price compared to other expensive scrubs. Available in various pharmacies and retailers across the country. Evidence that this scrub’s formula works as it claims is not provided. Amounts of ingredients are not disclosed. Return policies vary depending on the retailer. The low cost of the product may make some customers doubt the product’s efficiency. Safe to use for all skin types, Queen Helene Oatmeal ‘n Honey Natural Facial Scrub harnesses the power of oatmeal and honey to remove impurities present in skin without being overly harsh. Data that explains how this scrub delivers on the benefits it claims to offer is not cited online. At an average cost of $4.99 per container, this facial scrub is far less expensive than many other skin scrubs in the market, which may make customers doubt its quality. A list of ingredients is also available online, but excludes their amounts. The scrub is also available in many retailers across the country. This means return and exchange policies vary depending on location. Despite the fact that the scrub has been manufactured since 1930, little is known about the manufacturer. Customers may feel comfortable buying scrubs that are produced and sold by better-known companies. Other products also have clearer return or exchange policies that may appeal to customers.